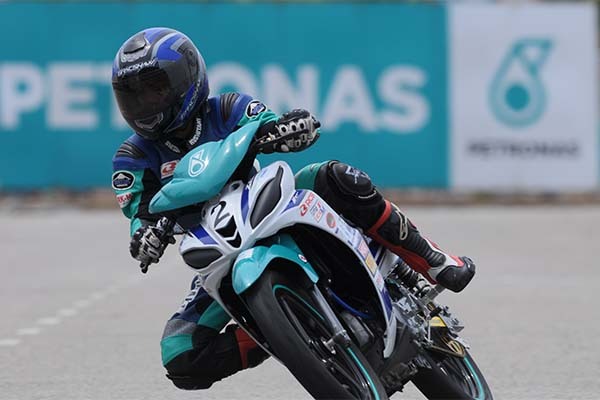 The race for Yamaha PETRONAS Super Series podium in Kuala Terengganu, Terengganu went perfectly as planned for Mohd Haziq Mohd Fairues when the Selangor-born captured the checkered flag far ahead of his opponents in the fourth round of the 2015 PETRONAS AAM Malaysian Cub Prix Championship. 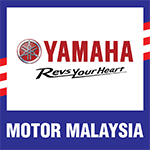 With the fastest time under his belt, Haziq first had minor trouble earlier in the race when Mohd Shahfiq Nizwan took the holeshot to lead but soon got his break when the leader slipped off, giving way for Haziq to slip through. With no one in his way, Haziq throttled on while Shahfiq Nizwan had to battle for second place with Mohd Shahfiq Shahrun Nizam. Haziq carried on his pace until the end to grab the win in 7:50.697s, a stunning 11 seconds ahead of second place winner, Shahfiq Shahrun Nizam. Imran Hadi Mohd Iswami who got out of an encounter with Mohd Syamim Abdul Rani came home third in 8:02.622s. “The moment I took lead after Shahfiq Nizwan, I set my pace and went straight for victory and never looked back,” said Haziq pleased. Shahfiq Nizwan finished fourth this time in 8:02.785s while Syamim came home fifth. Haziq sits on a comfortable overall lead with 100 points ahead of Shahfiq Shahrun Nizam (52 points) in second and Shahfiq Nizwan (50 points) in third.